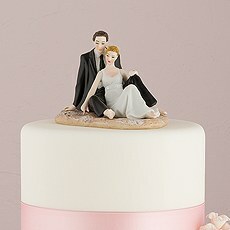 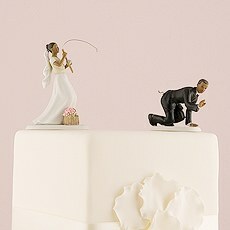 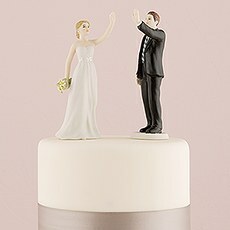 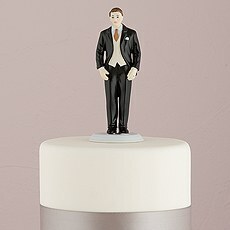 Express your unique and fun loving sides as a couple with high quality porcelain cake toppers. 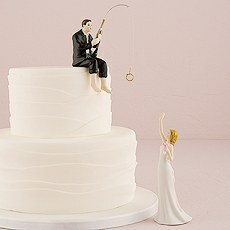 The wedding cake is a long-standing tradition, but that doesn't mean your cake topper must be equally traditional. 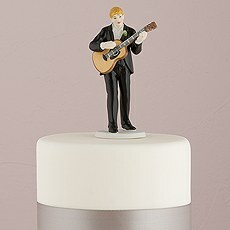 If you're looking for a great selection of unique cake toppers from which to choose, you've come to the right place. 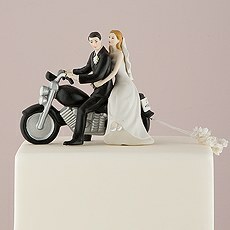 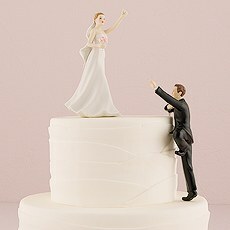 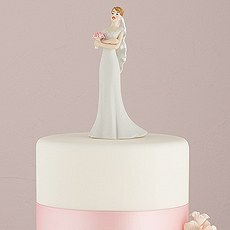 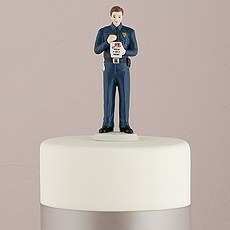 At Weddingstar, we offer a wide variety of romantic, charming and funny designs for our bride and groom cake toppers. 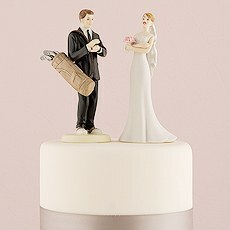 Because many of our designs can be personalized to look like you and your future spouse, it's easy to find one that showcases your personality as a couple. 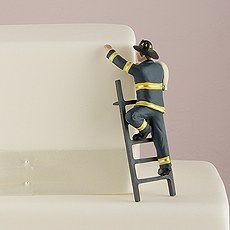 Whether you choose personalized cake toppers with a memorable theme, like fishing or firefighting, or a set that shows off your tendency to be hopeless romantics or total goofballs, you'll love that your wedding cake decor reflects your relationship in a meaningful way.Personalizing your bride and groom cake toppers at Weddingstar is easy to do in just a few clicks. 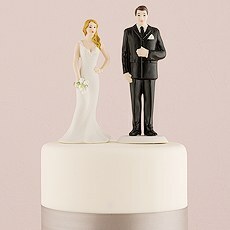 First, browse all of our designs to find one that suits you best. 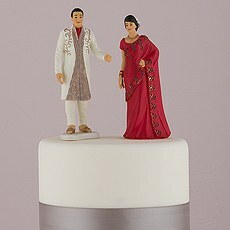 In addition to traditional bride and groom sets, you'll also find individual toppers you can mix and match to complement your personal style. 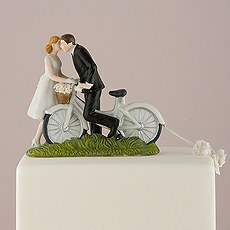 We even have specialty cake toppers for beach weddings, winter weddings, mature couples, expecting couples and more. 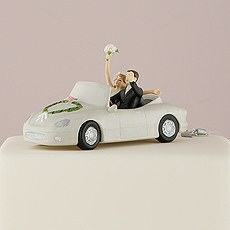 Once you choose your design, you can add custom details. 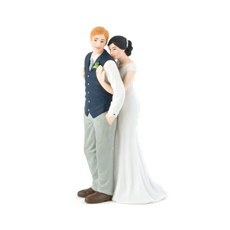 These porcelain figurines are then painted to match your look according to hair color and, in some cases, skin tone. 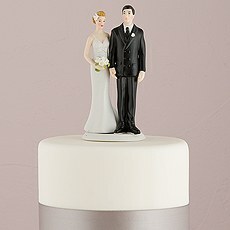 The finished look makes your cake toppers look just like the happy couple, ensuring that the set will be kept for years to come as a treasured keepsake.Your personalized cake toppers are sure to be a hit at your reception, especially if you pair it with more of our customizable wedding decor options at Weddingstar. 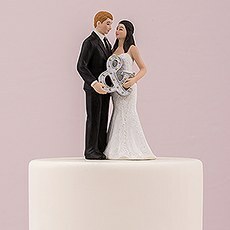 Shop on our site to create personalized stationery, pick our unique guest favors, design your own napkins and discover other fun and fabulous ways to put your own unique spin on your wedding celebration.